Windows insider team is currently testing Windows 10 PC build 14940 and mobile build 10.0.14940.1000. The latest internal build is compiled on September 29, 2016. Recently, Insider team had released build 14936 for PC and mobile build 10.0.14936.1000 for testers. For Windows 10 1607 Anniversary Update users, insider team is working on cumulative update build 14393.316. 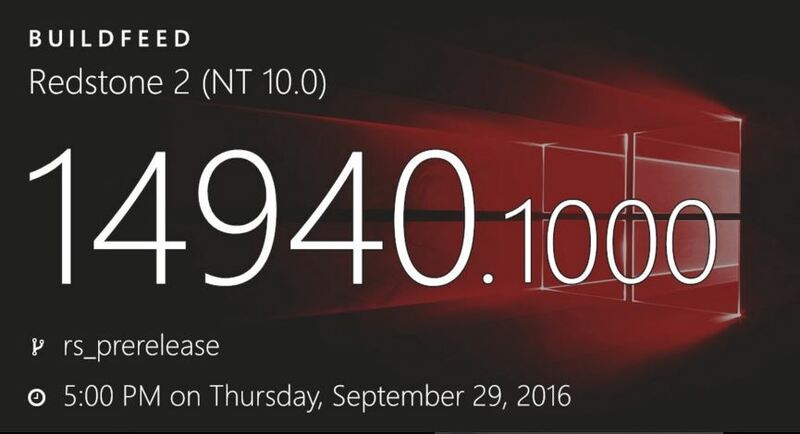 The company is also testing cumulative update build 10586.601 for Windows 10 1511 Threshold 2 PC and Mobile users. A new Windows 10 Cumulative Update kb3194496 PC build 14393.222 is now available for Windows 10 Anniversary Update users. If you are facing problems with build 14393.222, you can try fixes here.